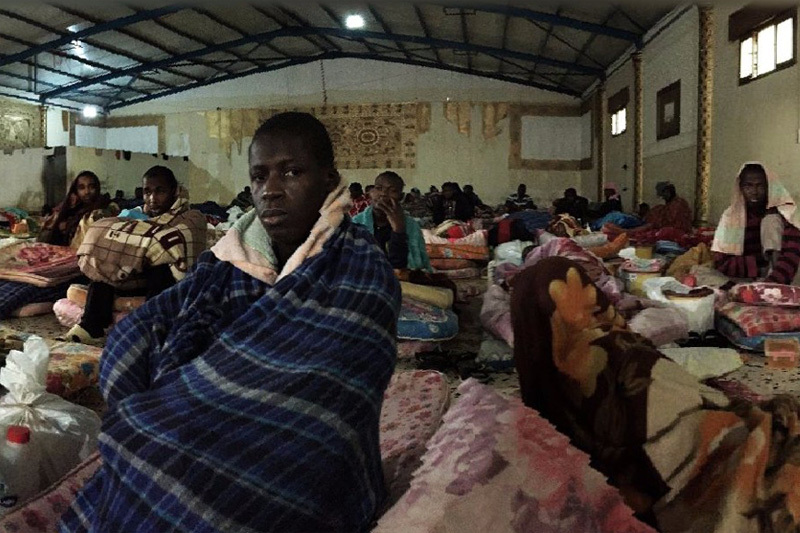 Libya - This week, the UN Migration Agency (IOM) completed the rehabilitation of two out of four Libyan detention centres to improve the living conditions of its detained migrants. The rehabilitation of Tripoli-located Trig al Seka and Tareq al Mattar detention centres, which started at the end of March included the installation of new toilets and rehabilitation of the old ones, setting up a water purification system, repairing the sewage and cabling network, and fitting ventilation fans and water boilers. For Trig al Seka, the bathrooms were relocated to outside the accommodation area, which will improve the sanitary conditions for the migrants. “IOM is not expanding the already existing space of the detention centres but enhancing the current living conditions for detained migrants by, for example, enhancing the sanitary amenities, drinking water and building seven outdoor complexes of shower facilities and lavatories,” said IOM Libya Programme Manager Maysa Khalil. The aim of the IOM intervention is to vastly improve the often appalling living conditions of more than 7,100 migrants currently in the 27 Directorate for Combatting Illegal Migration (DCIM)-managed detention centres inside Libya, according to IOM’s Displacement Tracking Matrix (DTM), which has identified 381,463 migrants in the North African country. However, the total number of migrants in Libya is estimated to be between 700,000 and 1 million. “It is important to keep in mind that IOM is first and foremost advocating for alternatives to detention and is working in parallel to identify options such as shelters and more open detention spaces,” emphasized IOM Libya Chief of Mission Othman Belbeisi, adding that, “In the meantime, we are working to also improve the already existing detention facilities,” he added. The rehabilitation intervention is part of a wider IOM initiative focusing on Libya’s detention centres, which involves separating the most vulnerable migrants, including women and children, from the other detainees, as well as supporting the DCIM staff in human rights training and the identification of vulnerable cases. The rehabilitations are part of the project, Supporting Libyan Authorities in Managing Migration Flows by Improving Compliance with Human Rights in Migrants’ Detention Centres and Through Voluntary Repatriations, funded by the United Kingdom.